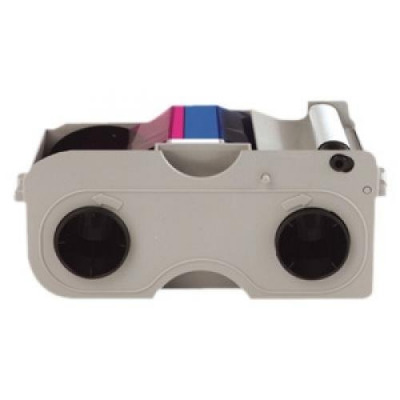 Genuine Fargo 45010 YMCKOK cartridge: Full color ribbon with two resin (K) black panels and clear (O) overlay panel. Cleaning roller is included to ensure top performance while simplifying printer maintenance. Fargo C30, C30e, DTC1000 and DTC1250e printer series.